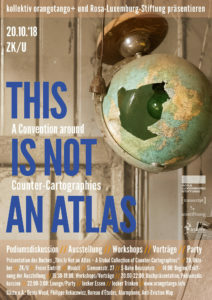 This Is Not an Atlas goes Hamburg! 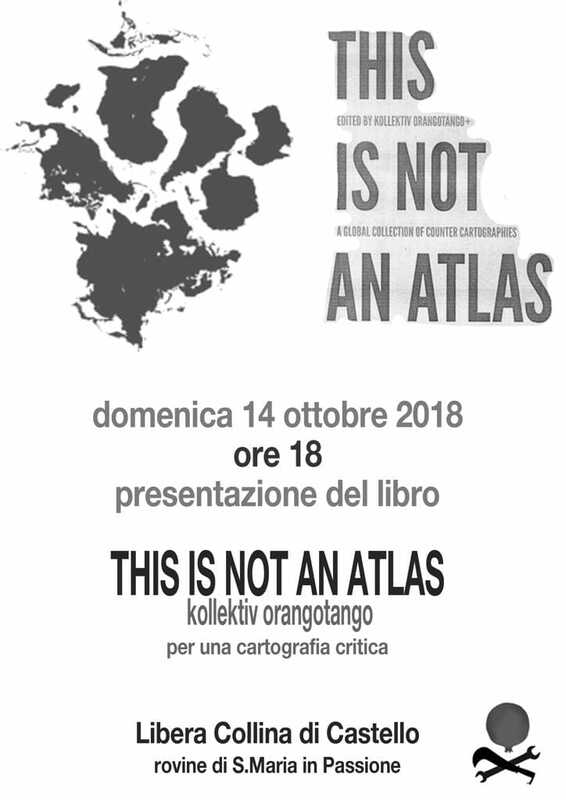 We are very happy to announce that finally This Is Not an Atlas will be released as a book and want to celebrate this event. 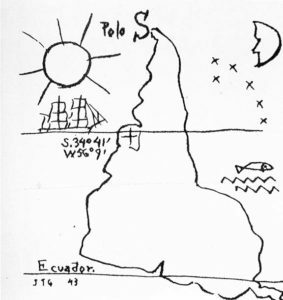 After four years of collectively editing, we want to foster the encounter of counter-cartographers from diverse contexts around the globe not only on the pages of Not-an-Atlas but also on the ground. 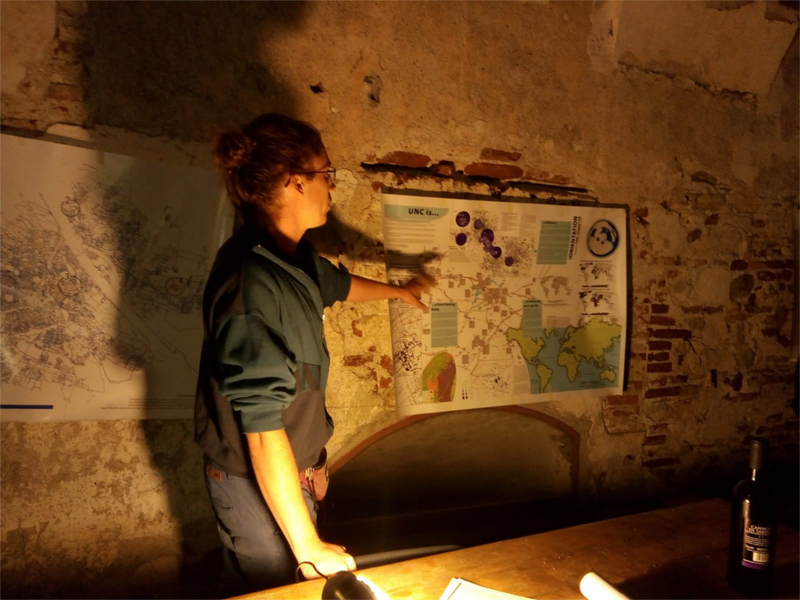 A series of events, consisting of exhibitions, panel discussions, and workshops, aim to facilitate the exchange of counter-cartographic knowledge and practices. 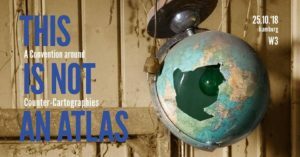 We want to present this global collection of counter-cartographies in a way that activists, academics, artists, counter-cartographers, editors and authors of This Is Not an Atlas can share their experiences in different ways. 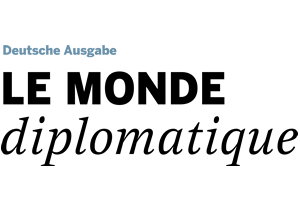 The events in Berlin and Hamburg will be held mainly in English. Guests: Philippe Rekacewicz, Denis Wood, Bureau d’Études, Erin McElroy (Anti-Eviction Map), Berlin besetzt, Alarm Phone, Colectivo de Geografia Critica de Ecuador and many more. The detailed program is coming soon. Organized by kollektiv orangotango and Rosa-Luxemburg-Stiftung. Guests: Denis Wood, Bureau d’Études, Erin McElroy (Anti-Eviction Map). The detailed program is coming soon. Organized by kollektiv orangotango, Rosa-Luxemburg-Stiftung Hamburg and Working Group Critical Geographies of Global Inequalities. 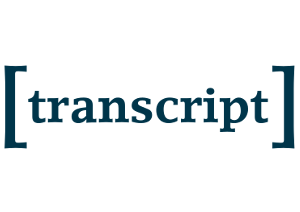 Supported by Le Monde diplomatique, transcript, anstiftung and ASA FF e.V.